The newest of the Uniti line with amazing build quality, and of course, legendary British sonics. All-in-one including speakers. This is the perfect no-fuss study or bedroom system. The smaller QB is easier to carry out to patios or the garage. Astonishingly good sound from an all-in-one system. With its own stand, this is a classy and simple way to get high-end sound at home. Just connect loudspeakers. It's a streamer, DAC, and a Class-D amplifier. Play MQA from Tidal, or store your ripped CDs and high-res music on a NAS or Bluesound Vault 2. 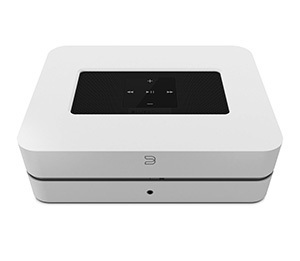 Bluesound offers amazing sound at an entry-level price point. The Vault 2 has 2TB of storage, and automatically rips CDs, pulling in album art and track names, and integrating them with the library. 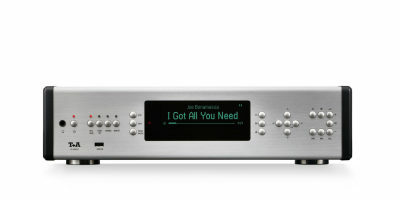 The Vault 2 also has a DAC with analog RCA outputs, so it can be used as a digital source. 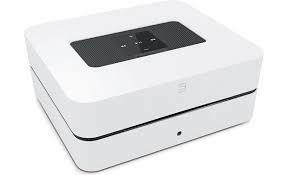 It will effortlessly serve up multizone audio to other Bluesound products such as the Node 2 or Powernode 2.